A beautiful front yard garden is not only a sight for sore eyes, but it also establishes your home’s connection with nature in a beautiful way. After all, it can become extremely tedious to be surrounded by only brick and mortar every day when you live in the city. And if you are worried that you don’t have enough space for a traditional garden, we have good news for you. To be visually appealing and soul-satisfying, a garden doesn’t have to be large or exotic. Small but well-planned gardens can look equally charming too. Hence, we have 10 brilliant ideas for front yard gardens which are sure to inspire you. You can also consult a landscape designer if you are not sure of your own skills or planning to create a large and unique garden. Not everyone wants or can accommodate a huge garden. Small gardens like the one featured here can look equally beautiful too, and can be easier to maintain. The minimalist in you will definitely rejoice with this arrangement! Use lots of foliage and a little edging of flowering plants to create a small garden that will be sleek yet captivating. 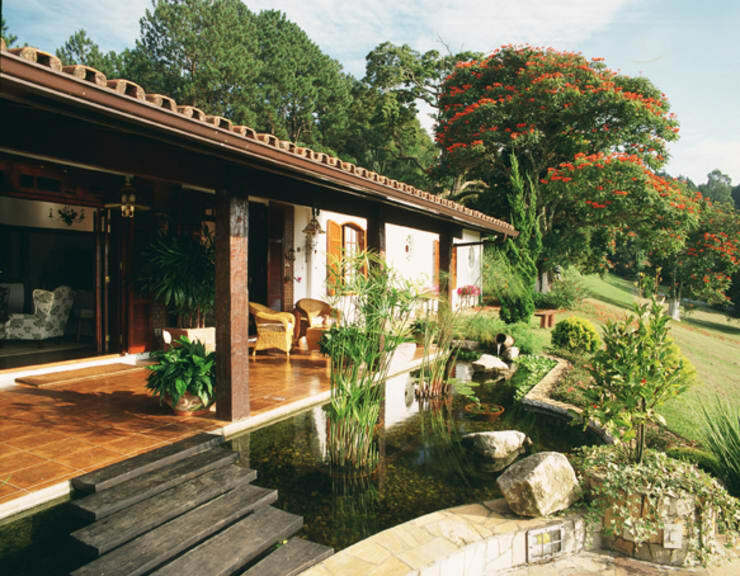 When you already have a beautiful home, how can you plan a garden that will complement it? Easy… focus on the design of the home, and then decide on the style of garden which will go with it. If the home is traditional and uses stones, use stones in the courtyard as well. Place huge pots and planters around the perimeter to create a quiet outdoor dining space with some rustic furniture. 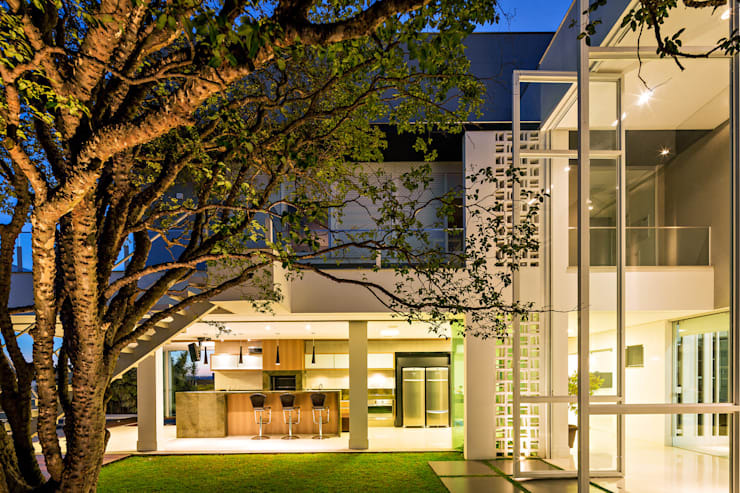 This house features a winding walkway through the lush garden which is simply stunning. 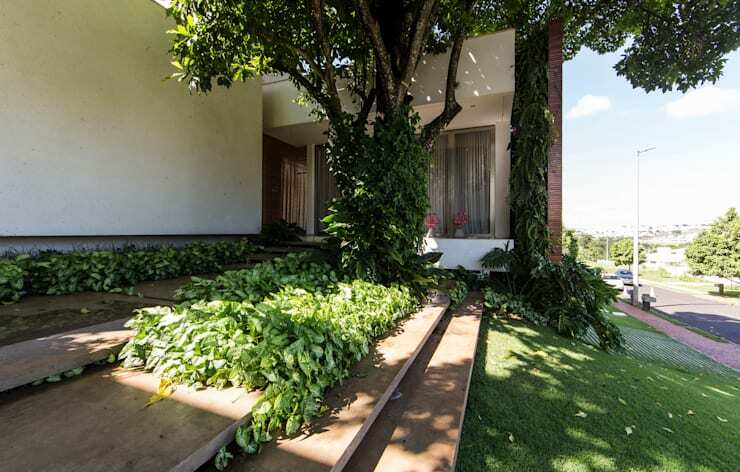 The design uses paved stones interspersed with green grass for a carefully careless look. 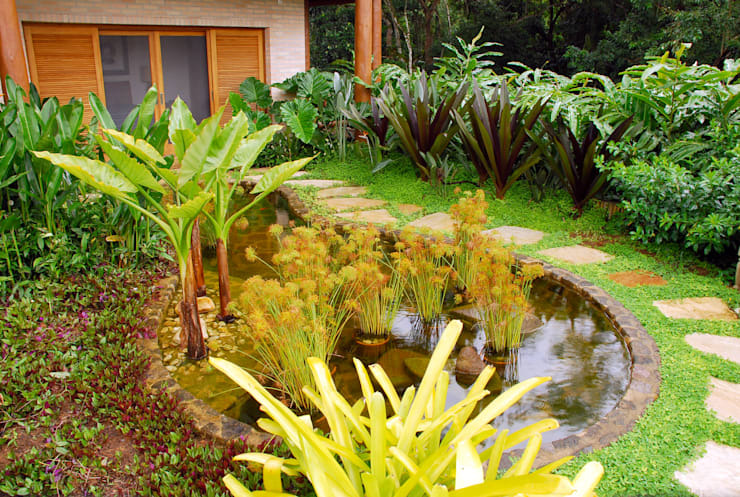 The accompanying exotic plants are indicative of the homeowner’s taste and style. You can also plants with colourful leaves or flowers to add a little character and variety to your garden. Your garden could be located on the side of the house or in the backyard. It can become your natural refuge, away from all the noise and humdrum of urban life. To ensure this, you can cultivate a garden with hedges and creepers along the walls for additional privacy. Pick a beautiful garden bench and place it right in the middle, as we see here. This way, whenever you need a break, you can sit on the bench, relax and soak in the verdant sight all around. An old school garden generally takes a lot of planning and space. It has to be open and airy, with natural sunlight and lots of plants. This type of design can usually be implemented in houses in the suburbs or countryside. A rustic garden like the one shown here, can be an extension of the patio too, and include lots of rocks and can also incorporate a small pond. 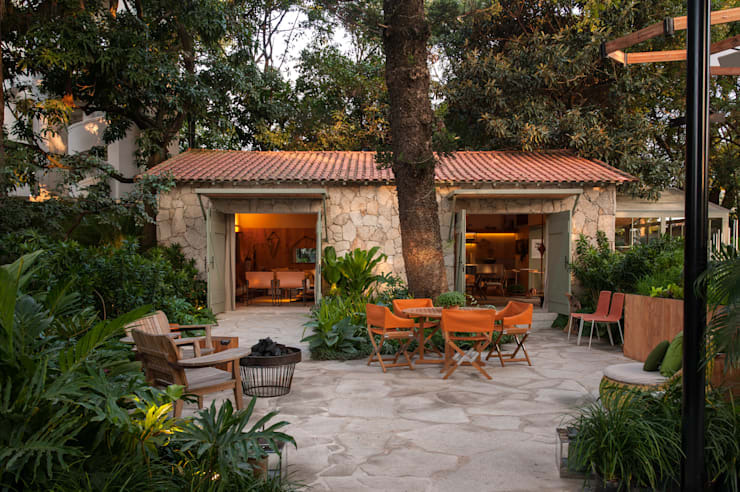 The credit for this one goes to the landscape designers at Eduardo Luppi Paisagismo LTDA in Sao Paulo. Some gardens enhance the architectural beauty of a home incredibly and look more stunning than the building itself. Tasteful and creative landscaping can make it happen. 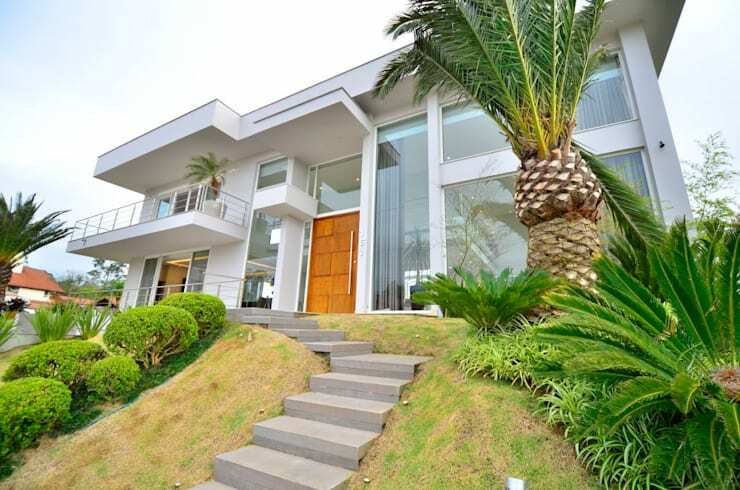 Steps cutting through the garden and leading up to an entrance, lush palm trees and properly pruned plants lining the stairway, and interesting foliage are all elements that go into planning such a perfect garden. Do you have too much space around your house but don’t know what to do with it? Plan a huge garden! It will be as if you have your own personal park. Plant a green lawn and ask a landscaper for advice about which plants will grow and flourish. Based on his or her recommendation, you can set about creating a sprawling garden with different kinds of trees and shrubs. Use your front steps to grow a garden. 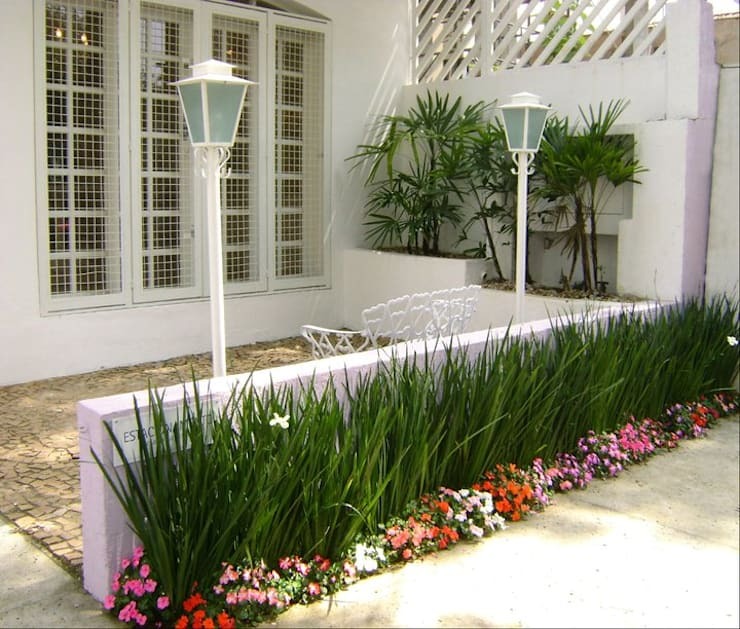 Your guests will be welcomed with a step garden which will look refreshing and inviting at the same time. You can plant an entire bed of your favourite plant and use medium-sized trees on the side as shown here. The presence of a garden in the front will also cool the entrance of the house and will offer a soothing effect to the eyes during summers. Some homes are designed with extreme care, and their entire concept is something unique and different. 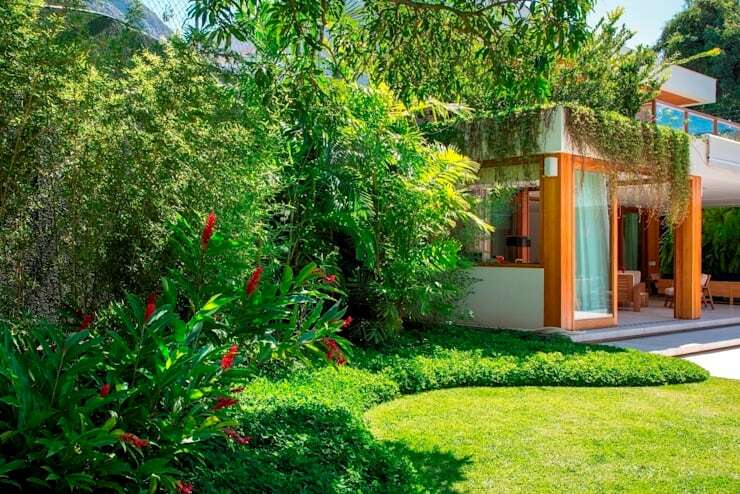 Therefore, a garden for such a home should be planned in a way that it looks like a seamless part of the entire design. For this, you’ll need an architect and a landscaper, who know their jobs very well, and understand how to create harmony with brick, mortar and greenery. Spruce is a plant that requires low maintenance in the long run. You can definitely use this in your home garden as well, especially if you feel you won’t get enough time to care for your garden. 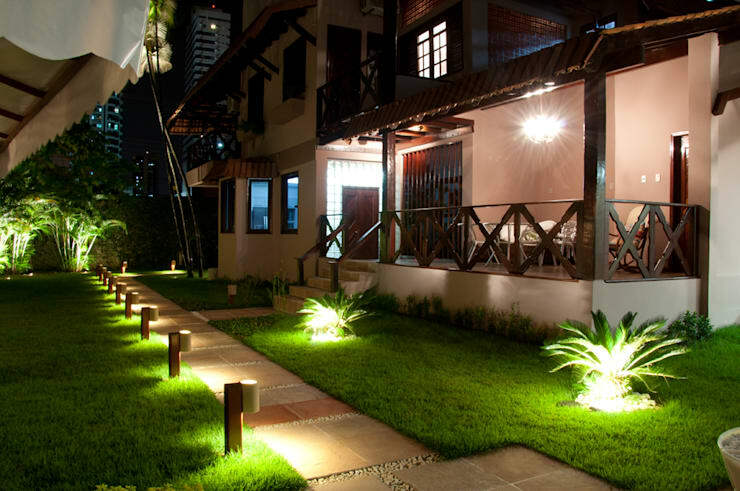 Be sure to place lights around your garden to highlight the beautiful design at night as well. These lights can be arranged to light up the walkways brilliantly too, for security reasons. So don't wait for nature to come knocking on your door anymore. Usher it in yourself, with the garden idea that suits you best. Here is another story that might interest you - Small gardens: tips and tricks!